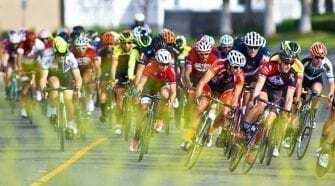 Race Report & Photos: Red Trolley Classic Criterium Pro 1/2 Race - SoCalCycling.com - Southern California, Cycling, Cycling News, Amgen Tour of California, Bicycle Racing, Fun Rides, Cycling Event Schedules, Mountain Biking, Cyclocross, Cycling Photos, Cycling Videos, Interviews, Product Reviews. The Red Trolley Classic Criterium in San Diego is held on a fast .6 mile course with 3 hard corners, with a sweeping bend and a small rolling hill that leads into the finishing straight. The day started out with great weather for racing. 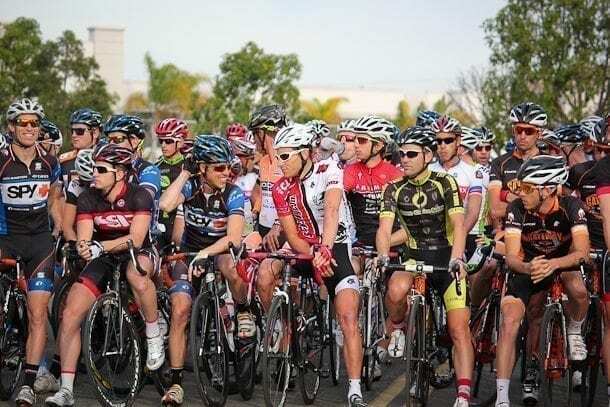 The Pro 1/2 race field had a stellar riders from several teams which was going to make for a fast day. Since the Boulevard Road Race took place the day before, most riders that raced there were most likely going to have tired legs from the fast paced race at Boulevard the day before … at least the riders that finished. On the line, there were 100 eager riders that were ready to get the season rolling and test the legs on this challenging course. Note to self … if you have no fitness and were sick for over a week, then maybe it is best to sit it out and be a spectator. 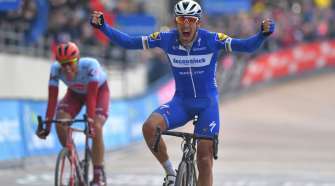 As the race started, the pace was set high right from the gun and riders were hitting their brakes more than needed in the corners in the beginning of the race until the pace started to settle in. There were many attacks from many of the teams, however they did not really gain the gaps necessary to really establish a solid break. The bigger teams were represented in most of the breaks that would get 5 to 10 seconds up the road. but by the next lap it would be all together with some other teams taking a chance as the short lived breaks all came back together. With the bigger teams not really able to take control of the race. It was evident that it was going to come down to a field sprint. Since a field sprint was eminent, It was the smaller less represented teams that took advantage of the larger teams stumbling on each other. With one lap to go, it looked as everyone was going to come to the line together. However, Travis Macabe (Elbowz Racing) took a late flyer and caught the field by surprise to solo in for the win ahead of Ken Hanson (Team Optum pb Kelly Benefit Strategies).